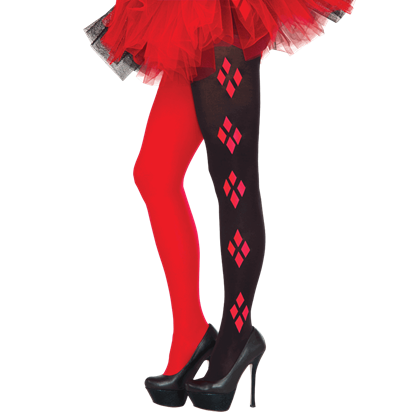 Create an unforgettable outfit by adding the Adult Harley Quinn Costume Corset to your closet. So many looks go perfectly with this piece, adding to the mayhem and fun that is sure to arise when portraying the Maiden of Mischief. 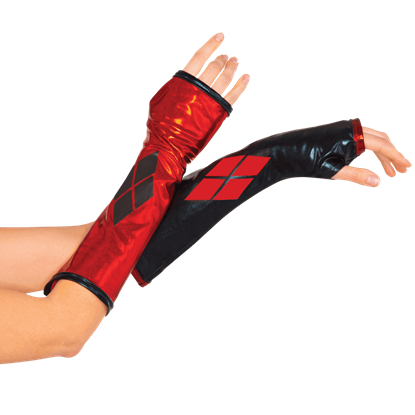 Give the ultimate portrayal of the Clown Princess of Crime with the Adult Harley Quinn Gauntlets. With these arm sleeves completing the desired look, you will be inspired to add a bit of mischief and mayhem to the Halloween scene. The role of villainous prankster is yours when adding this headpiece to your costume. Ensure that Halloween night is full of dastardly tricks and deadly treats with the Adult Harley Quinn Headband in your arsenal of accessories. Even criminal clowns get cold sometimes. 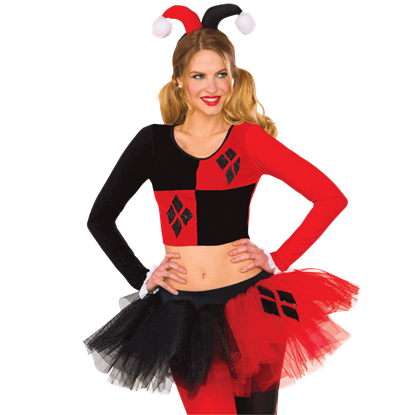 Inspired by the resident jester-themed villain of Gotham City, the Adult Harley Quinn Leg Warmers are great for adding detail and interest to your costume along with a light layer of warmth. 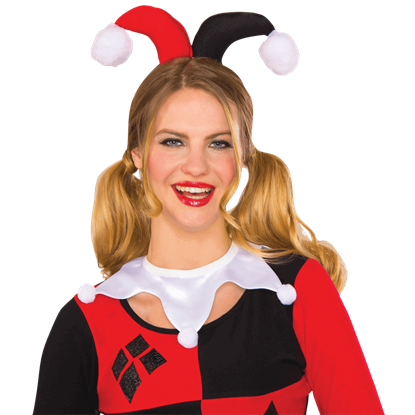 While it is the perfect accessory for the role of Gotham supervillain, the Adult Harley Quinn Mask cannot hide that dark sparkle in your eyes nor that sinister grin upon your face. Mischief and mayhem is guaranteed this Halloween. 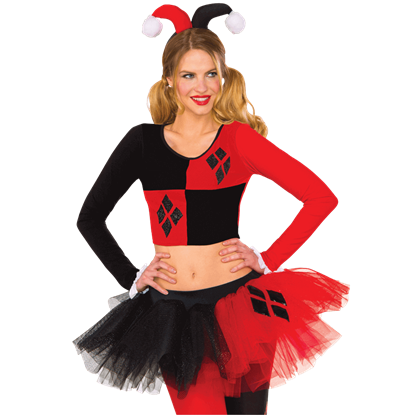 Ensure that the Maiden of Mischief adds to the fun and laughter of your next Halloween party. 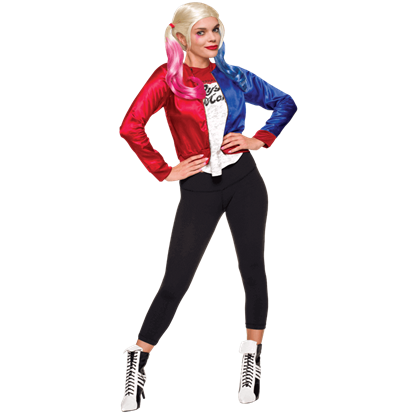 Mix her style with your own and remind everyone why this Gotham supervillain cannot be ignored with the Adult Harley Quinn Sequin Skirt. No Maiden of Mischief must be without these costume accessories in her cosplay closet. 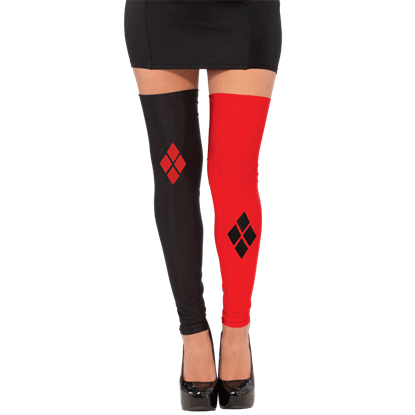 Choose for yourself the version of Harley Quinn you will portray next Halloween with the Adult Harley Quinn Thigh Highs completing your style.